This house was warm and inviting from the owners to the traditional nature of the home and neighborhood. Meg was very thorough with mapping out the local life and offered many great suggestions. 15-20 min train ride from several popular parts of the city. Dans un quartier calme et plutôt traditionnel, pas loin du métro de Sugamo, proche de la rue commerçante, de nombreuses commodités et d'un sento très agréable (je recommande) la maison est dépaysante et joliment décorée et bien que la cuisine et la salle de bain soient rudimentaires la maison est très accueillante. . Par contre nous y étions en hiver et comme le chauffage était éteint à notre arrivée nous nous sommes gelés les 3 premiers jours. Heureusement les lits sont chauffants. C'est dommage. Quiet location, but good sized house for a residential stay experience. Good sized house, not too far from the station (15 minutes walking), decent assortment of restaurants within walking distance. If you’re wanting to stay in Tokyo but not in a hotel, this place gives you more space for about the same price. The host was very helpful and would be a great resource for those who might need a little help getting around. This is a truely tradional Japanese house in a quiet residential neighbourhood not far from Sugamo station and a lovely tradional shopping street. Sugamo Station, the Jizo-dori Shopping Street, several supermarkets, post office, ATMs, temples and plenty of different restaurants and cafés are in walking distance to the house. Megumi is indeed a perfect host, sending the most accurate guide how to find the house and suggesting the best and reasonable restaurants. Water, tea, snacks, toiletries and even washing detergent have been provided. Thank you so much Megumi for making this trip such a great experience we’ll never forget. We’re already missing Japan. A lovely traditional gem of a house situated in a quiet delightful neighbourhood. We thoroughly enjoyed our stay in this lovely traditional house situated in a quiet residential neighbourhood. Everything we needed during our stay was provided including linen, tea and coffee, and laundry facilities. The futons gave us a comfortable night's sleep and the kotatsu was a huge hit! The house was within walking distance of public transport providing excellent access to all areas of Tokyo. There are plenty of convenience stores nearby and of course the endearing main shopping street with a wide variety of shops, restaurants, street food and it's very own little shrine! 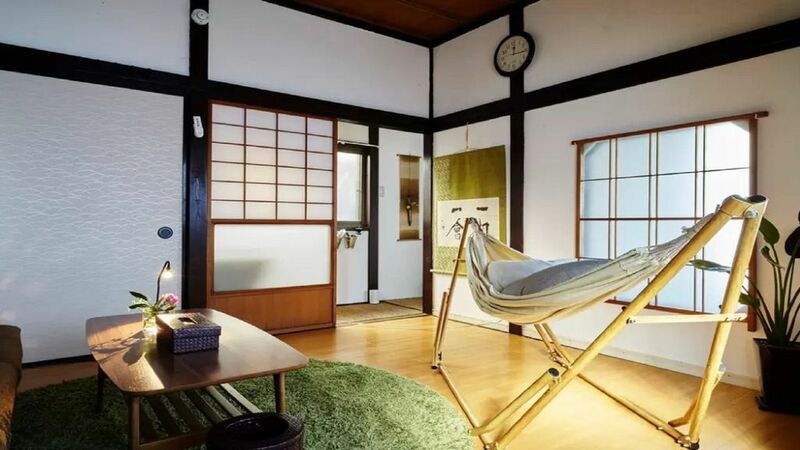 We would recommend this property to anyone wanting a peaceful escape at the end of a long day in the hustle and bustle of Tokyo's other areas of attraction. * If you're traveling with an infant or small child, Please let us know before make a reservation. * Strictly NO BIG Volume MUSIC, NO PARTY and NO LOUD SOUNDS in the room. Our neighbor is very quiet in this building. Please respect our neighbor. * Please separate garbage into burnable, non-burnable or recyclable and throw it into the each dust bins.